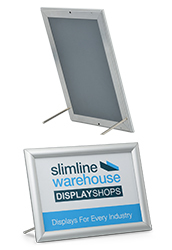 Standard Clip Frames in a Variety of Sizes! 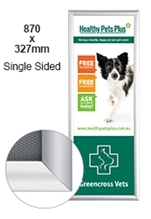 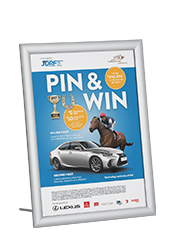 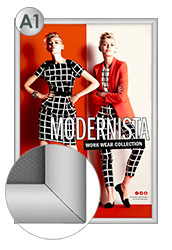 Include a poster frame or snap frame as part of your marketing and advertising strategy. 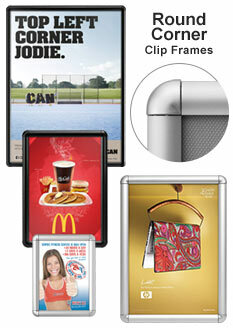 These clips frames come complete with a protective plastic lens. 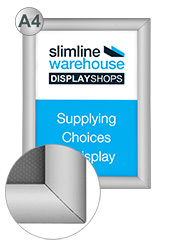 The snap frame is easy to use with the clip system and is constructed from quality silver aluminium in a matte finish. 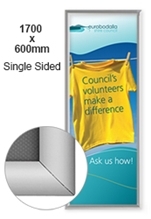 Available in sizes A0, A1, A2, A3, A4 & also in a larger 1700 x 600mm size, the single sided poster frame can be mounted onto walls or shelves. 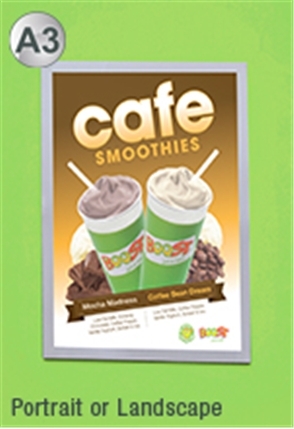 Create an eye catching advertisement and compliment it with classic sign frames to highlight your stores products and services. 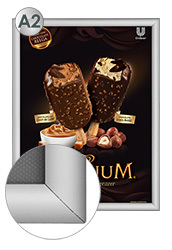 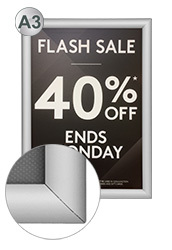 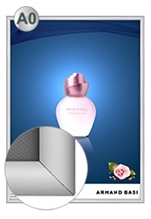 The snap frame can be displayed in either landscape or portrait format giving you more flexibility when it comes displaying your advertisements. 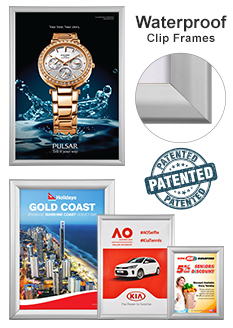 We can ship sign frames to anywhere in Australia. 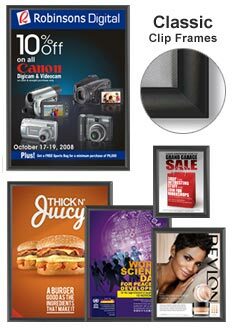 If you like the classic poster frame, you may also like our Hanging Clip Frames with Hardware, Poster Frames & Signs or the Sages Display System.